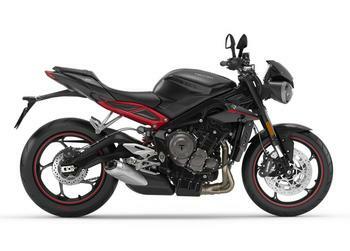 Triumph Motorcycles America is recalling 1,242 model year 2018 Street Triple R, Street Triple R - Low Seat and Street Triple RS motorcycles. Water may get into the left-hand combination switch on the handlebar and cause the turn signal switch and the headlight switch to malfunction. If the turn signal and headlight switches do not function properly, there would be an increased risk of a crash. Triumph will notify owners, and dealers will replace the handlebar left-hand combination switch, free of charge. The recall is expected to begin May 31, 2018. Owners may contact Triumph customer service at 1-678-854-2010.